It is my pleasure to be here to say a few words. I am Antony Si Tou, people usually call me Antony or Si Tou. I have been working in UM for more than 20 years. In the recent years, we can see there are great changes and advancements in information and communication technology (ICT). Coming with the changes, there are also increasing challenges such as sophisticated and diversified network attacks, high user expectations, fast adoption and application of new technologies, etc. and I foresee that there will be more to come in the near future. Being the interim director, I am quite anxious to get started with these new challenges. The University of Macau (UM) is an international comprehensive university, while ICT is an essential component of it in terms of providing teaching, learning, research and administration. We strive to employ ICT wisely and contribute to the growth of the University by constantly exploring, planning and using appropriate ICT to support and improve teaching, learning and research, as well as to streamline administration. We will continue to play our role in providing excellent services to all UM members. Your voice is important to make us improve, as such, you are welcome to make use of the available communication channels such as newsletters, websites, meetings, phone calls, or emails etc. for sharing your ideas, suggestions and feedback. We will try our best to fulfill your expectations and needs of ICT. We look forward to hearing from you all and moving forward together with UM. Finally, yet importantly, we would like to thank Mr. Chong Wing Kong, the former Director of ICTO, for his service and dedication in leading ICTO in the past years and wish him a wonderful post-UM life. 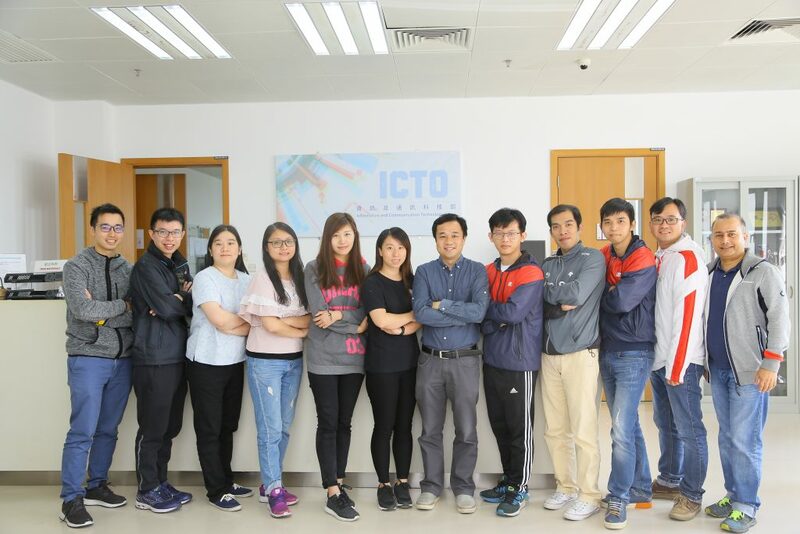 Mr. Antony Si Tou (6th from right), with User Services team at ICTO Help Desk counter.